Spring is just around the corner and so is the GALA Spring Art Show and Sale! We are looking forward to the GALA Spring Art Show & Sale at the Elks Club located at 31 Park Street in Gardner (the Gardner Senior Center will be undergoing renovations). Look for further information to come, including the Call for Artists to be sent out within the next week. 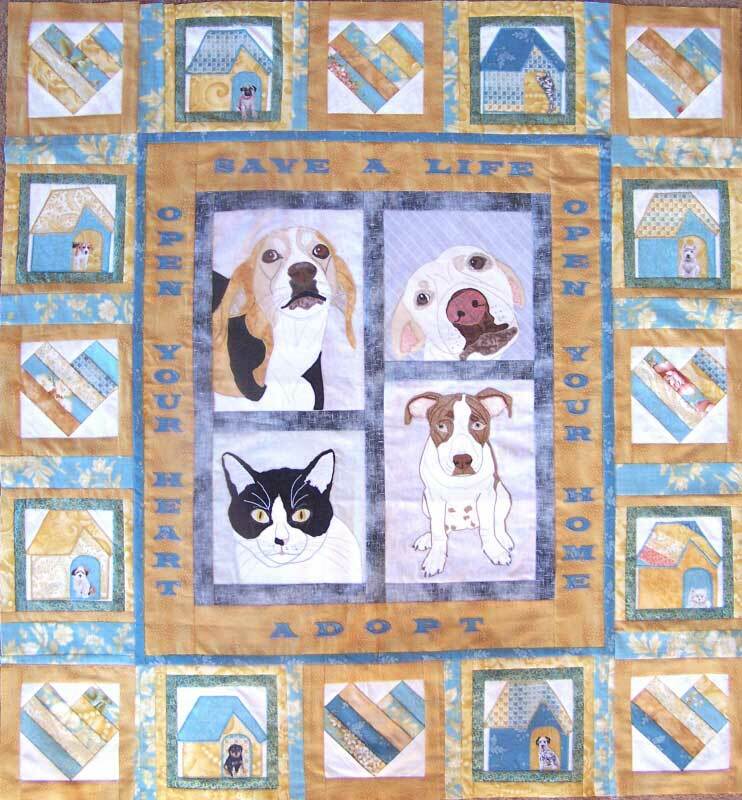 Jan (the "Crazy Dog Lady") will be entering the quilt pictured above in the Charity Challenge portion of the Machine Quilters' Exposition (MQX). The MQX is to be held at the Radisson Hotel, 700 Elm Street, Manchester, NH from April 16-18 with classes beginning April 13. Admission is $10 per day or $18 for a multi-day pass. For more information go to the MQX web site at http://www.mqxshow.com/show_info/. Entrants to the Charity Challenge pay $25 for a selected group of fabrics to be sent to them. The $25 goes to the New Hampshire Society for the Prevention of Cruelty to Animals (NHSPCA) in Stratham, NH. Entrants must use a recognizable portion of each of the several fabrics supplied, and may use any other fabrics as well, to create a traditional quilt. The quilts will be judged. 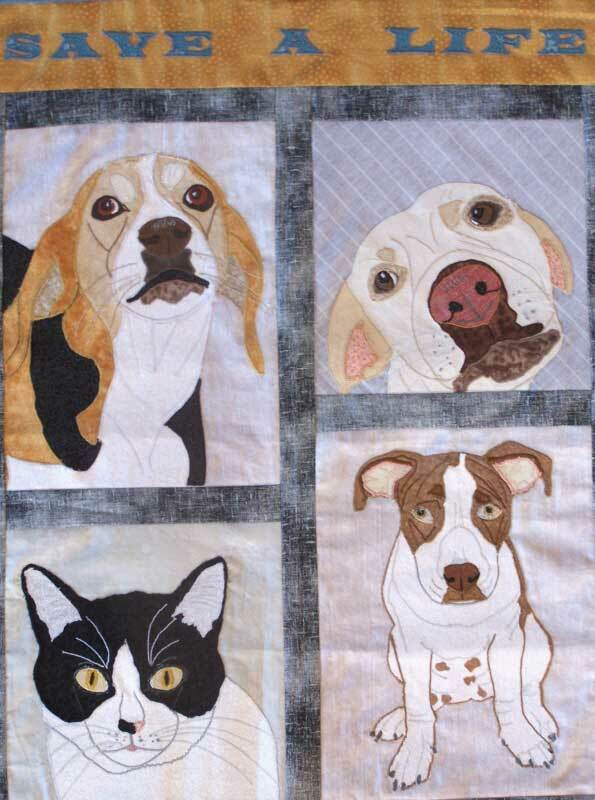 In Jan's home studio in Hubbardston, she is currently teaching students to create their own fabric likeness of their pet. They can then be turned into quilts or pillows, or framed for hanging. This is not for beginners to sewing. Call 978-928-5252. Jan's website: www.crazydoglady.com. The show has approximately 130 pieces on display including works by GALA artists. Colors, shapes, light, and their relationship to one another have inspired Debra to paint a diverse number of subjects. Capturing the vivid contrasts in nature and still lifes challenge her to share her emotions in a realistic style. Painting with a plein air group has opened up a new passion for stimulating all the senses in enjoying the beauty of nature. 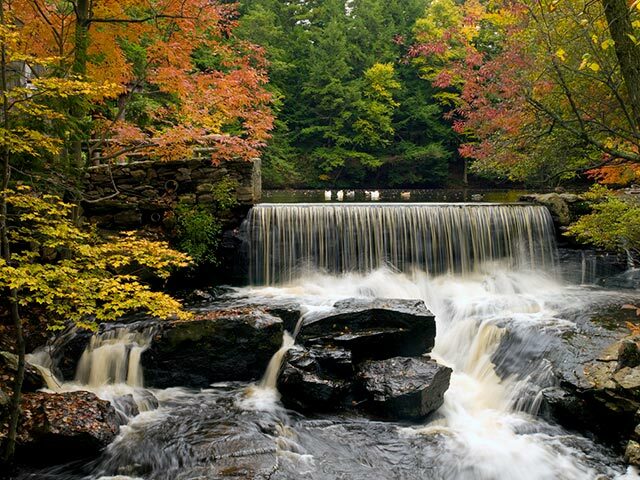 Sharon is inspired by the beautiful hues of nature. The emerald green of moss, the violet-blue of the mountains, the sapphire blue of lakes and streams, the roses and peaches of the sunsets and all the colors in between. Entry forms available April 1. The GALA newsletter is distributed to over 170 people and that number is growing! It's a great way to publicize an upcoming show, event or workshop. Missed the deadline for the next issue and your opening is coming up? No problem...if you're a current member of GALA, we may even be able to send out a special email announcement for you. See the information for submissions below. Heywood Hospital Wound Care Center: Guy Biechele has a solo exhibition of his photography in the Wound Care Center reception area now to Apr. 19.